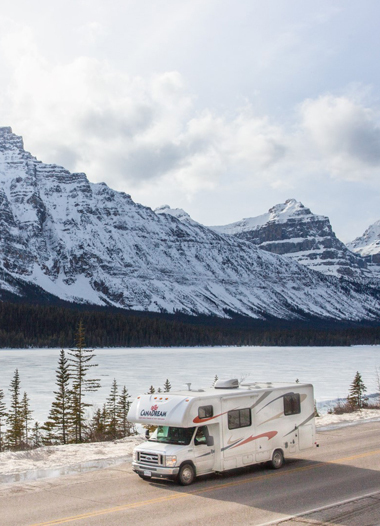 CanaDream is all about providing world-class vacations and the RV lifestyle, for people who want to experience Canada at their own pace. We're open year-round, but our stations really come alive in season (May through October), when we play host to visitors from around the world and our own backyard. Our Sales Group provides customers with the means to the ultimate RV lifestyle, while our Guest Services group helps our Guests to have their holiday of a lifetime – wherever they decide it takes them. At CanaDream you have the ability to make a real difference to our Guests and Customers. Work with a great team; people who know how to have fun while getting the job done to the best of our abilities. Ignite your passion by joining our team! We will accept the wisdom learned from our mistakes to ensure our future success. CanaDream welcomes applications from individuals interested in becoming part of our Cast. We offer a great working environment and have positions in many areas, from RV Technicians to Guest Services and many things inbetween. We're recruiting! Join our Cast! It is mandatory that all permanent Cast/Tribe members of CanaDream are covered by life insurance, AD&D, dependent life and LTD. Cast/Tribe members can opt out of our dental and extended health option if they provide proof of alternative coverage to payroll. Every CanaDream Cast/Tribe member has a significant impact on day-to-day operations. CanaDream enjoys rewarding its Cast/Tribe members through the bonus plan. Payments are based on CanaDream’s annual operating income and a significant percentage of the annual income is designated as the bonus pool. CanaDream has an educational assistance program to assist permanent Cast/Tribe members, who are not on leave, pay for pre-approved courses that will benefit them and CanaDream. This program helps Cast/Tribe members upgrade their job-related skills. CanaDream will decide which trades to pursue, and which Cast/Tribe members will be accepted into the program. Ha egy olyan helyen akarsz dolgozni ahol nem csak munkatársaid vannak hanem barátaid is, akkor dolgozz velünk CanaDream YVR-nál. Unser Vancouver Team ist wie eine Familie – die Arbeit gefällt mir sehr und macht grosse Freude. Imi place sa lucrez la CanaDream deoarece aici toti au aceeasi viziune si lucreaza pentru un tel comun. Acest lucru creeaza un adevarat mediu familial in care toata lumea este acolo cand este nevoie. Dito sa CanaDream, hindi ka lang empleyado, ikaw ay isang kapamilya! Hoe leuk is het Gasten te verwelkomen in hun eigen taal! Ik werk als lot attendant voor CanaDream en wat zo plezierig is aan deze baan dat je met veel collega’s te maken heb. Ich arbeite gerne für CanaDream, weil ich gerne mit Menschen arbeite. Ich habe tolle Mitarbeiter mit denen das Arbeiten viel Spass macht. TEAMGEIST wird hier großgeschrieben. CANADREAM der richtige Arbeitgeber fur mich ist. Me gusta trabajar en CanaDream porque es una compañia que te Brinda muchas oportunidades de trabajo, porque hay respect y nos tratamos como una familia y no como un simple trabajadora. I like working at CanaDream because management treat us well. CanaDream is a solid company and I also know many people from different countries. I enjoy working at CanaDream because of the People and the “We are happy to” attitude. I enjoy working at CanaDream because everyone here is so welcoming! The CanaDream Cast share in each others’ joy and opportunities and by far, this has been the best place to work. Il est plaisant d’avoir la chance d’échanger avec des invités de partout dans le monde. Working at CanaDream is a great pleasure and a privilege. Positive working environment with lots of variety in the tasks I do. Nice atmosphere, nice Guests and Customers & great to see the blue sky many times a day. Find answers to some of the questions we are frequently asked about seeking employment with CanaDream.